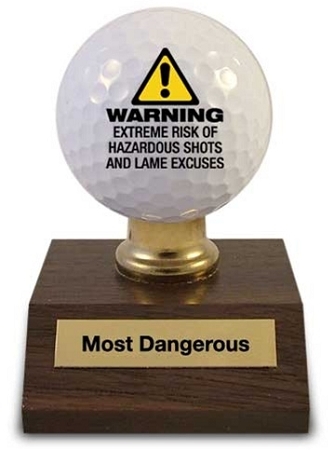 The people who should be getting an award are those who risked life and limb golfing with you. If this sport required a license to participate you'd be lucky to have your learner's permit. Not only has your lack of skills led to this award but your vast abundance of excuses for hitting such ugly shots sealed the deal.